Optibodies - When Good is Not Enough! 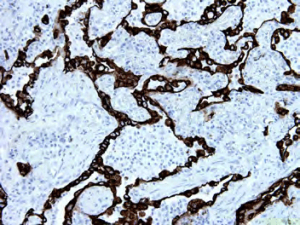 Immunohistochemical analysis has nowadays a very important role in routine diagnostics. The Team of Nordic BioSite has been working to optimize a range of antibodies for markers which are clinically and diagnostically important. Research frequently necessitates a range of antibodies tailored to the specific needs of each individual project. 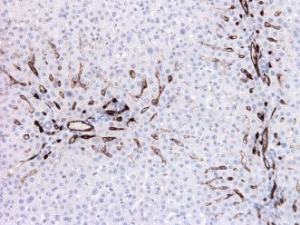 As such, there is no one specific protocol for IHC that can be used regularly. In clinical perspective, antibodies must be specific with high affinity towards their epitopes, flexible to use, good LOT consistency and reliable. Nordic BioSite Optibody antibodies are carefully optimized and fine-tuned with the needs of today‘s research and clinical IHC laboratory. Optibodies™ are optimized using NordiQC (Nordic Immunohistochemical Quality Control) recommendations of control tissues and criteria. Outstanding staining properties have been confirmed on different human tissues by independent quality control (NordiQC). All Optibodies are CE-IVD marked. 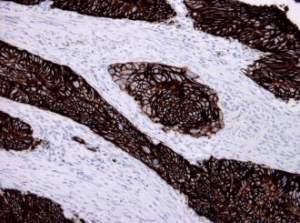 Try Optibodies™ and make a comparison test to enhance your quality of immunohistochemistry. Here you can find our large range of Optibodies™. 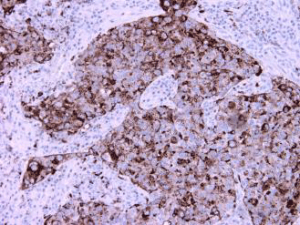 NordiQC Run 41 as well as Run 47 provided optimal results for CKpan (Clone BS5) as a broad-spectrum cytokeratin antibody optimized for carcinoma diagnostics, offering strong intensity with no background and unspecific label. There was also an optimal result in NordiQC Run 43 for Synaptophysin (Clone BS15). Synaptophysin is a great marker of neuroendrocrine tumors. Clone BS15 offers strong and intensive label. 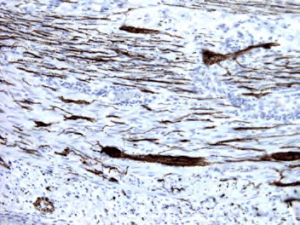 Weakly expressed control, neuronal cells in muscularis propria of appendix and goblet cells in crypts of appendix epithelia are stained with great intensity. 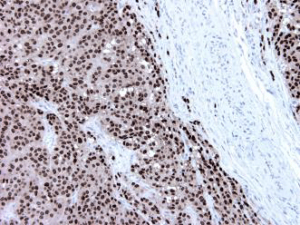 Run 44 showed a similar result for Napsin A (Clone BS10), which is used as a differential marker of the lung adenocarcinoma vs. squamous cell carcinoma. This Optibody offered excellent staining specificity and intensity. Run 45 announced good news about Optibodies™. Two Optibodies received optimal results in assessments: Ep-CAM (BS14) and SOX10 (BS7). 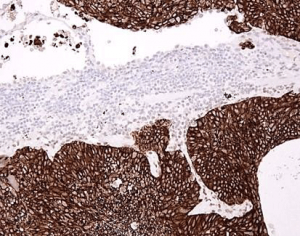 High-quality performance of EpCAM was proofed with different staining platforms. Great advantage is the alkaline antigen retrieval, which offers optimal staining pattern without special antigen retrieval buffers. Try and compare with your reference antibody! 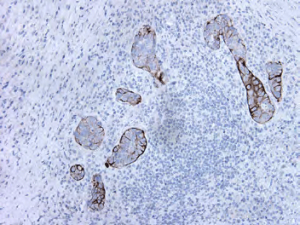 SOX10 is a great addition for melanoma diagnostics, and it is an effective marker of desmoplastic and spindle cell melanoma. SOX10 (BS7) was evaluated as optimal also in Run 48 with 100 % optimal ratio (5/5)! Optibodies™ showed great diagnostical potential and value in Run 46, Run 47 and Run 48. Optibodies got again optimal results with CD34 (BS72) and CK5 (BS42) on Run 46, and CK20 and CKpan on Run 47. Especially desmin (BS21) showed diagnostical potential with 100 % optimal ratio (4/4) on the Run 48! How antibodies are optimized into Optibodies™.